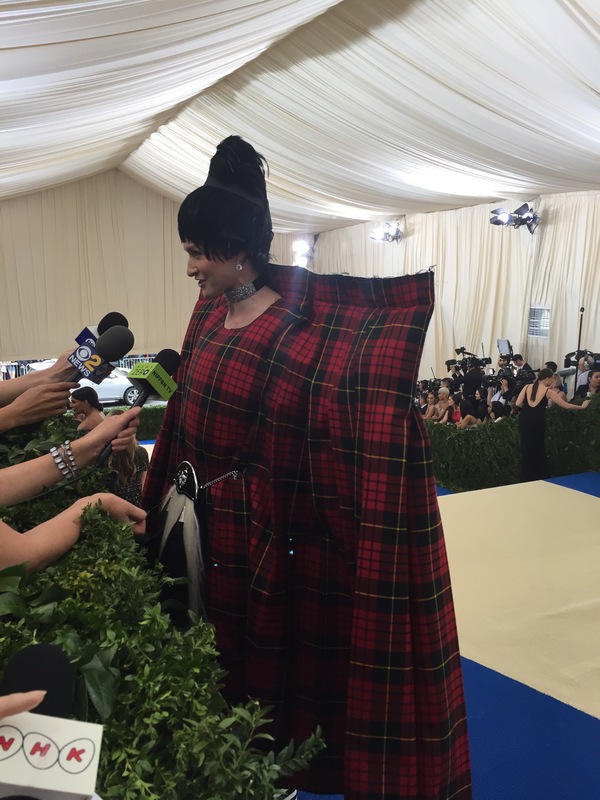 The Oscars were fab but people, the Met Gala!! 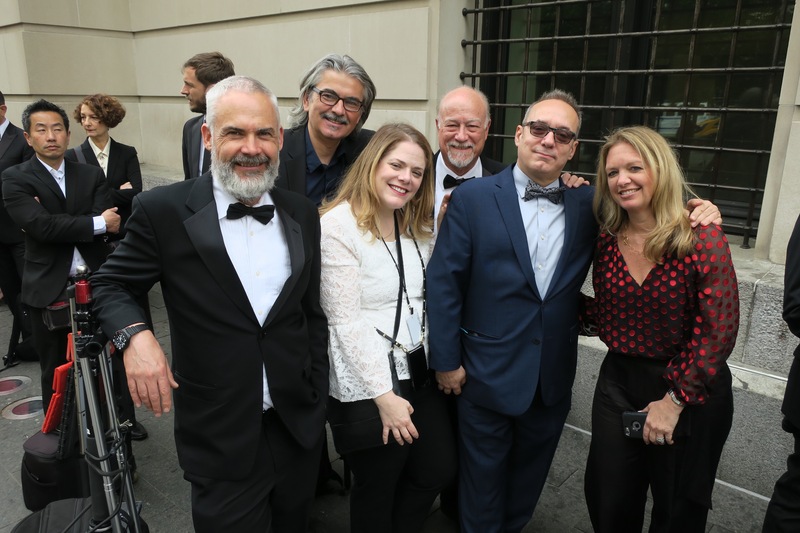 Stars of fashion, movies, TV, and music hit the carpeted steps of New York’s Metropolitan Museum of Art each year on the first Monday in May to celebrate the latest costume exhibit at the museum. 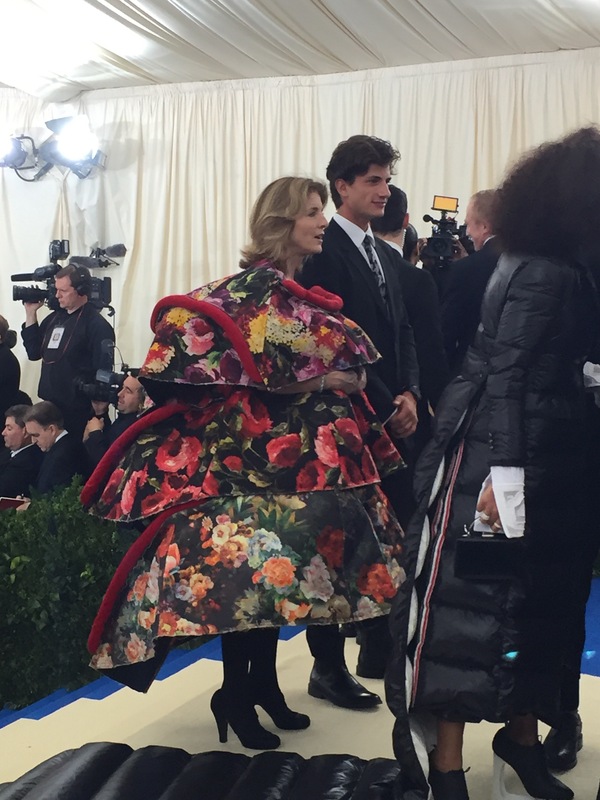 The evening host Anna Wintour. Yeah she had no arms outside that er, dress. This one on Tracy Ellis Ross had arm holes but lots of structure and bright color. 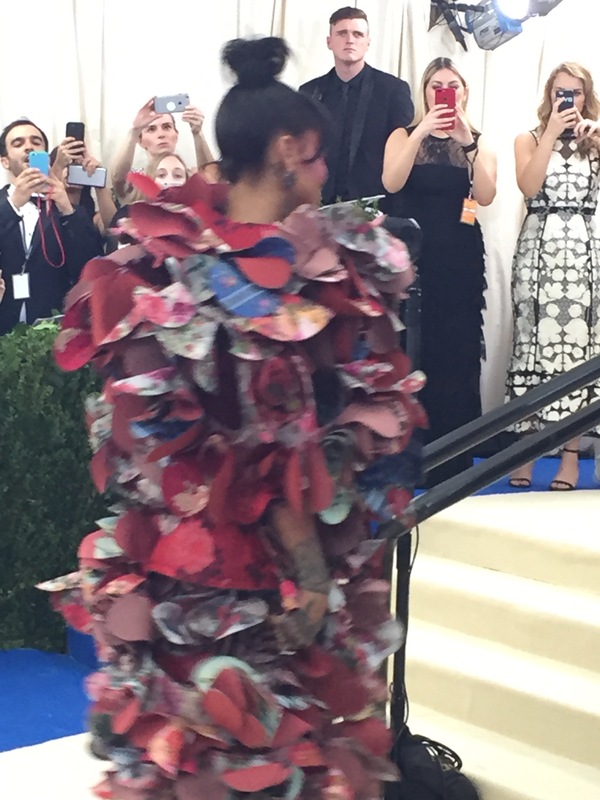 Rihanna took Rei’s fabric circles to heart. 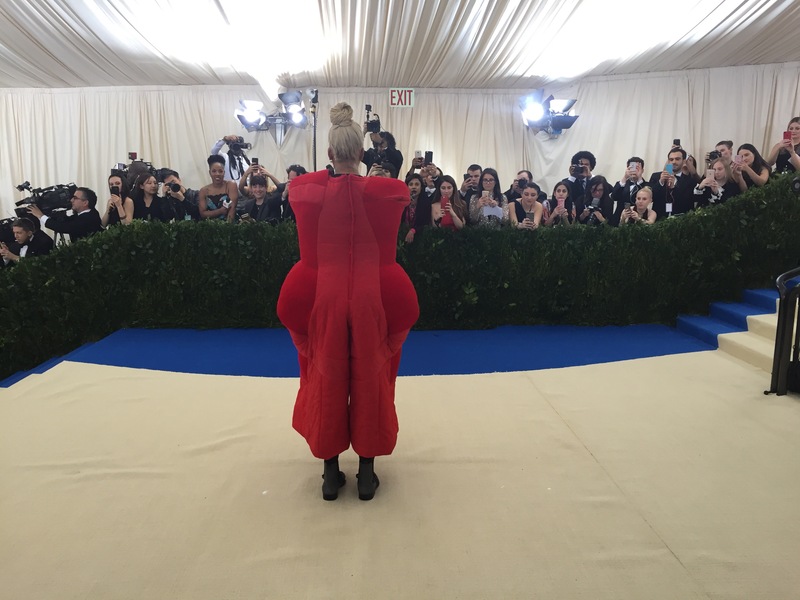 Carolyn Kennedy might have taken it a step too far. 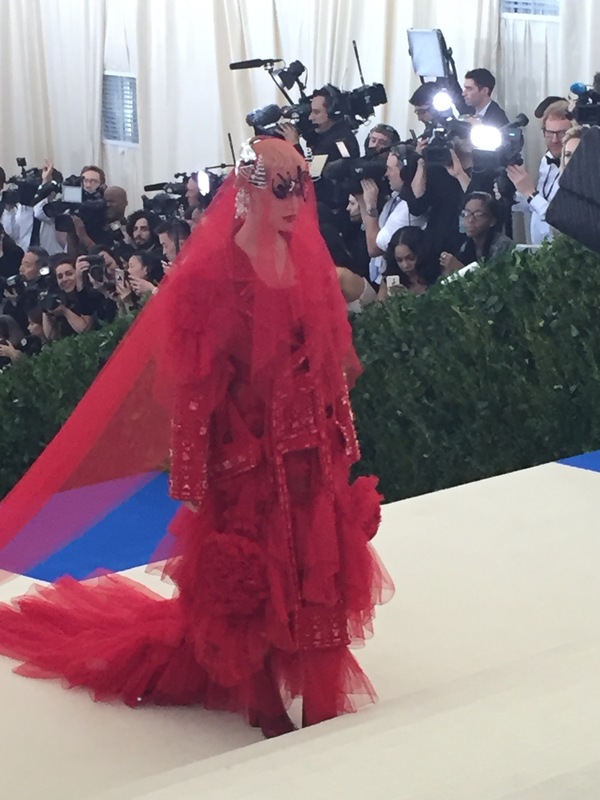 The Met Gala is where stars dare to go different like Katy Perry’s red masked showstopper. 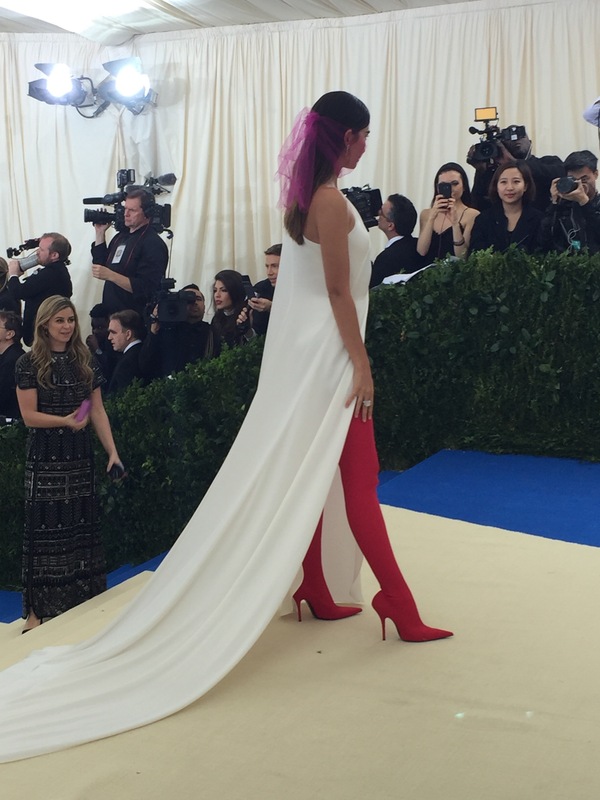 Few stars talked on the carpet but that didn’t stop me from shouting “who are you wearing? !” like an old pro. The guest list was insane. So many huge stars! 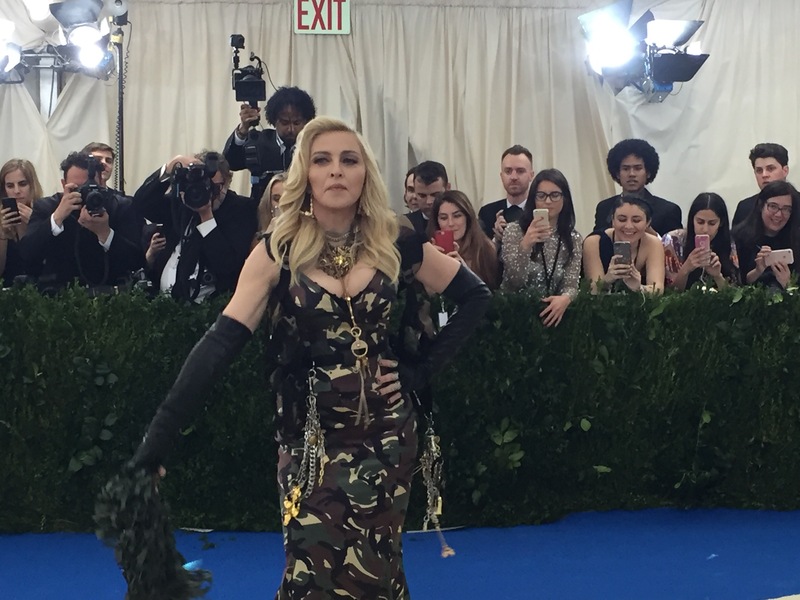 MAdonna– two feet away! 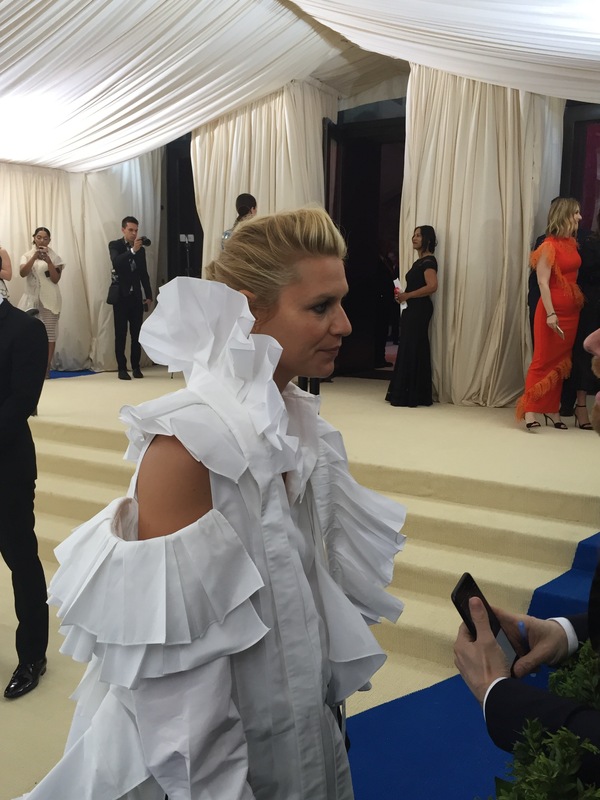 Claire Danes feeling the Rei vibe. Julianne Moore in Calvin Klein. 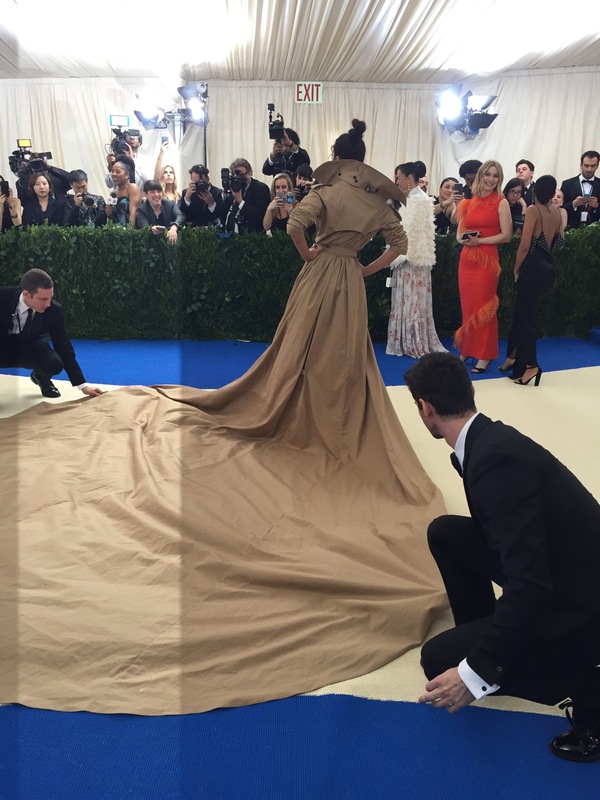 An interesting view of Kendall Jenner’s revealing gown. 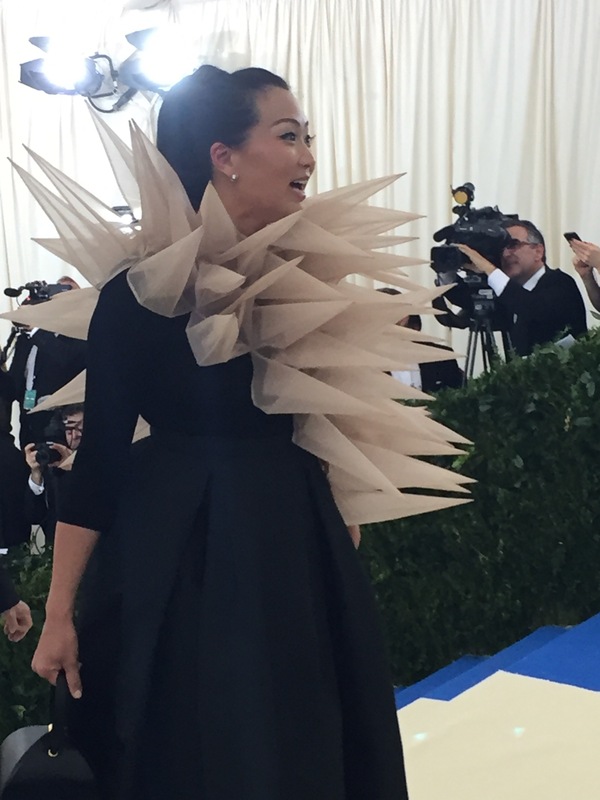 It’s very common for stars to come with the designers they’re wearing. 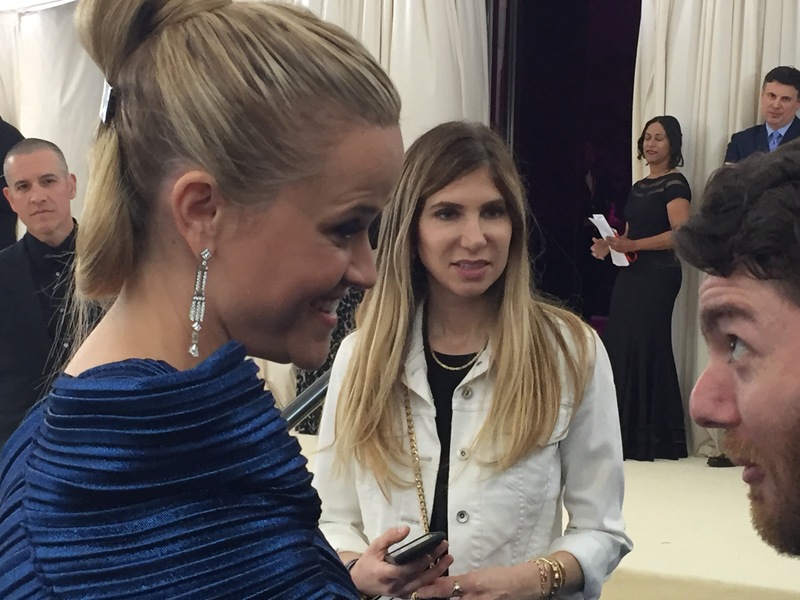 Naomi Watts and Kate Hudson were both in Stella McCartney. 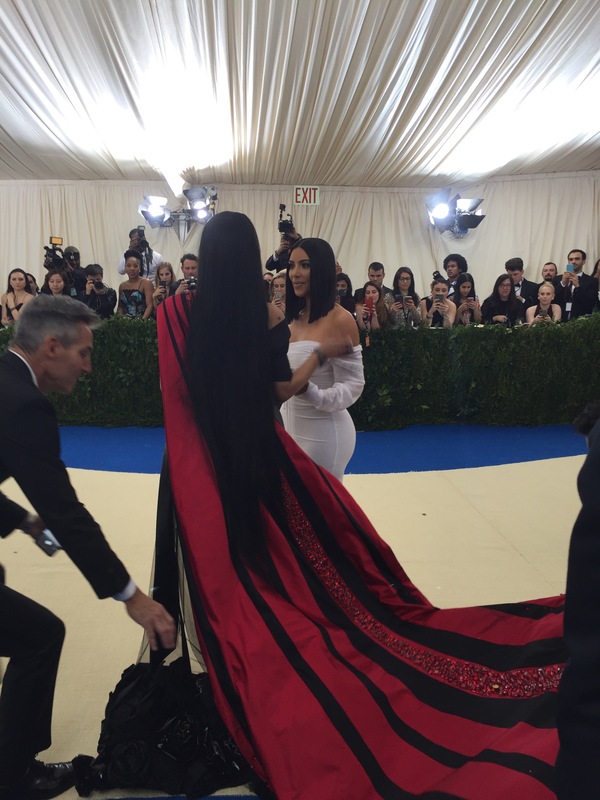 I caught Nicki Manaj chatting with Kim Kardashian. 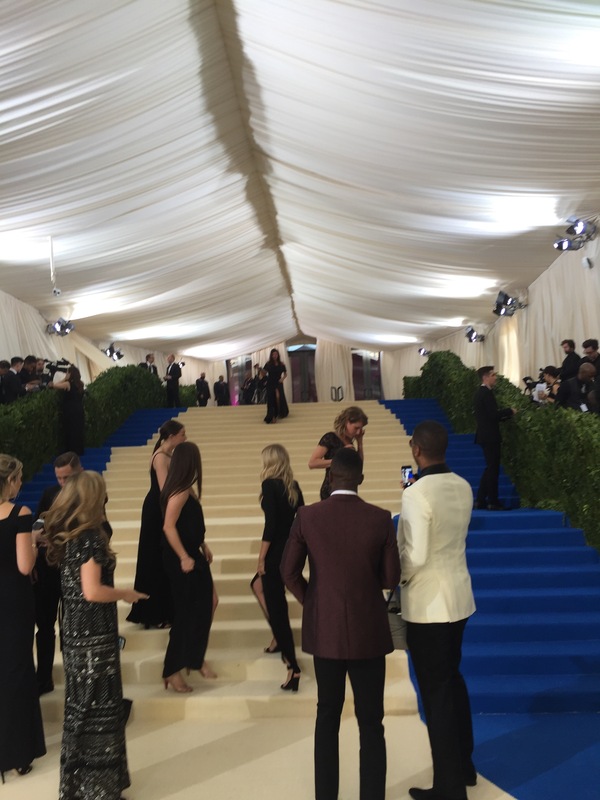 Tbe Met had PR reps up and down the carpet, whose sole jobs for 4 hours were to carry handbags and heavy dress trains. Cara de Lavigne shaved her head and painted it white. 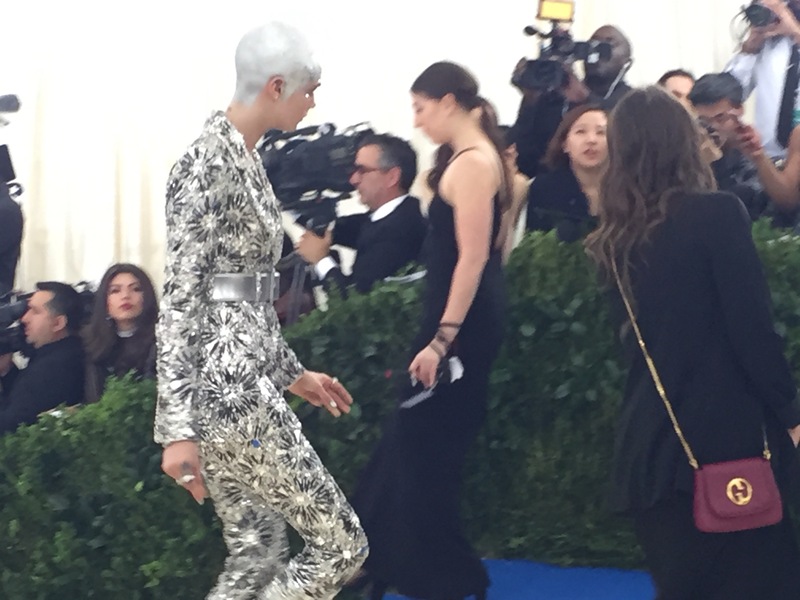 She also rocked a sparkly pantsuit. 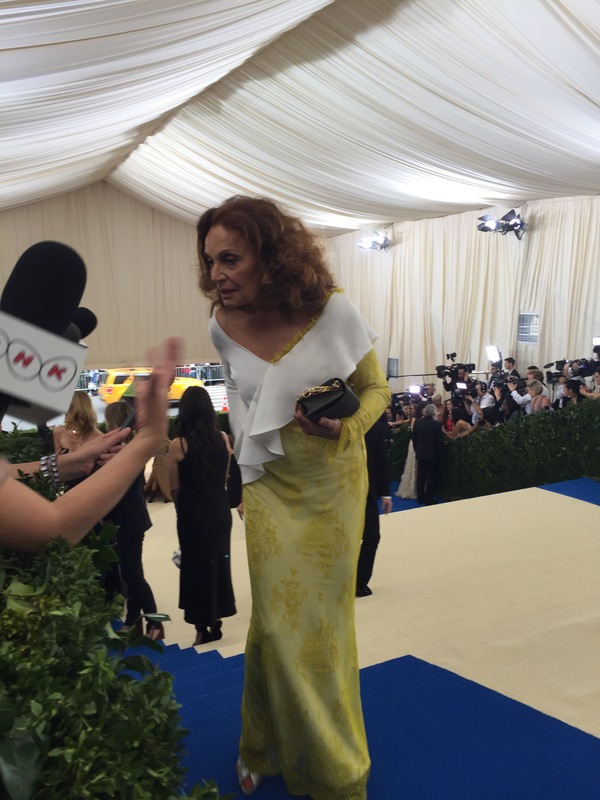 And when I told Diane Von Furstenberg that I was wearing a blouse designed by her and she smiled and squeezed my arm in approval. If you want more, you can read my story here. You will truly be able to say”I’ve seen it all”. Those were some very interesting outfits. Looks like eye candy for Carpool Candy! How fun! !